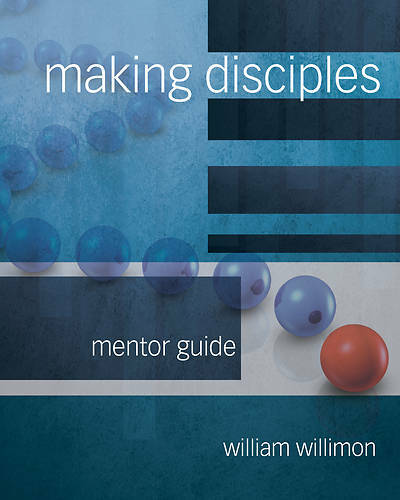 Making Disciples is a 13-session mentor-based confirmation program that pairs confirmands with adult mentors and guides them through a variety of learning experiences that will strengthen the student's understanding of the faith while connecting him or her with the community of believers in a personal way. It can be used as a stand-alone program, or in conjunction with your current curriculum as a special experiential unit. This is a confirmation program that is more like a process and less like a reading assignment, more engaging and congruent with the nature of the Christian faith than existing programs. Using an “apprenticeship” approach to confirmation Will Willimon produced a series of learning experiences where adult mentors and confirmands are both teachers and learners at the same time. This time-tested approach has been extensively revised and updated for usage in today’s churches that take seriously Christ’s command to be engaged in disciple making. The bulk of the Mentor Guide is exactly the same as the Confirmand's Journal. You are encouraged to work through the activities right along with the confirmands and to complete the activities and writing assignments just as he or she does. By working along with your confirmand you will demonstrate the need to keep learning and growing.